I am such a skincare person. I am that person who never misses a day doing my skincare routine and has more face masks, face washes and face scrubs than I really need. 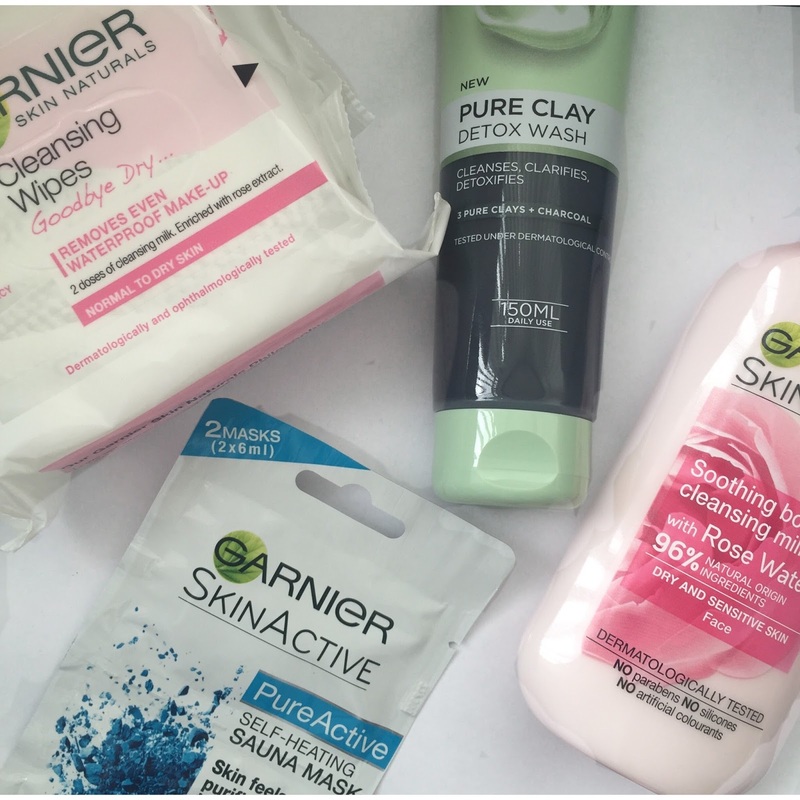 But one thing I've noticed is I like to keep my routine the same, I always stick with the same products over and over again. I am always looking on boots what to get next but I never get anything but Superdrug had an offer on Garnier and since I love the micellar water, I knew that it would be worth trying some of there other products. It was all affordable and good quality I can't wait to try it. To throw it out there, I'm not skincare expert and got a lot of this information off the description of the products. 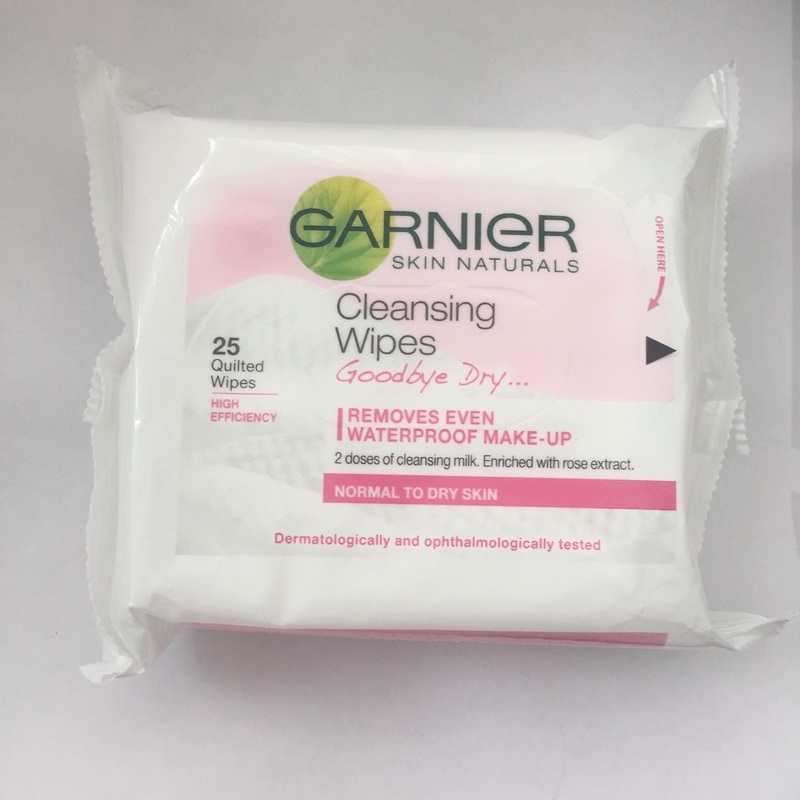 To start with, I just got the basic Garnier Skin Naturals Cleansing Quilted Wipes because even though I don't use makeup wipes I always find them handy to have, incase I ever need them they're just useful and if I do ever use them they're good! Then I saw that garnier do sheet masks, I've only ever tried a Korean sheet mask so I was eager to try this, I chose Garnier Skin Naturals Pure Self-Heating Sauna Mask. 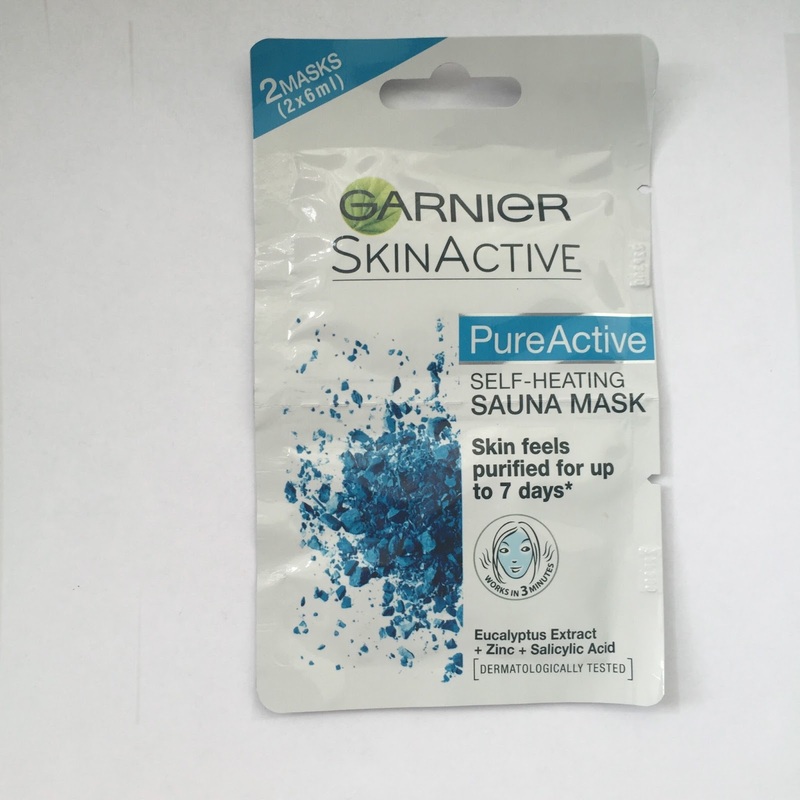 This mask is to purify the skin, give it a deep cleanse and help unclog pore (amazing if you've got oily / combination skin). I am excited because recently my pores have been extremely clogged and this mask should do wonders. 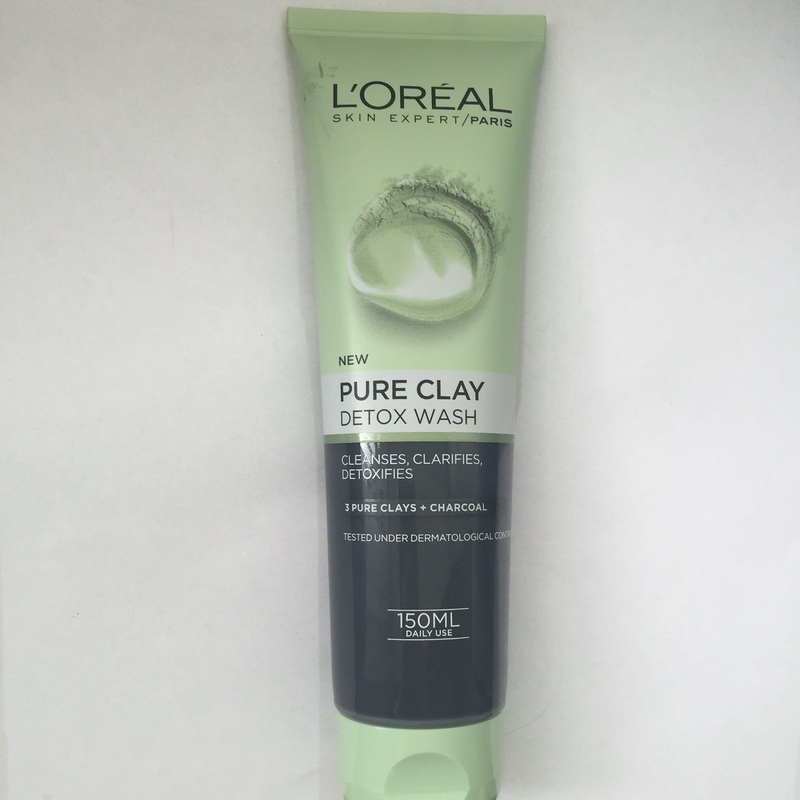 Then to mix things up, I though I'd grab a new face mask and chose L'Oreal Paris Pure Clay Detox Foam Wash. When this range first came out, it got hyped so much on YouTube and I finally am trying something from it. This facial wash is to exfoliate, get rid of imperfections and brighten the skin, using lots of incredible ingredients such as 3 pure clays and Charcoal. The fact it has charcoal made me want to buy it because I love the effects charcoal have on my skin. 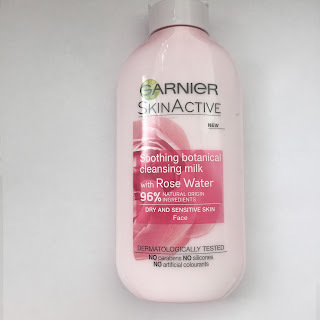 Finally I decided to choose something more soothing, soft and calm for my skin, the Garnier Naturals Rose Water Cleansing Milk. I love cleaning milks as they do the same as a face wash but just are creamier and feel nicer on the skin before and after use. They are just gentle and aren't heavy on the skin, I think everyone should have atleast one. The ingredients of this product is also 97% naturel which will be amazing for your As well roses are one of my favourite scents so that's just a bonus along with the packaging of this product. 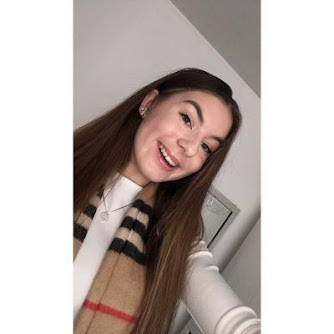 So I hope me sharing with you some of the new skincare I've recently gotten will inspire you to either keep up with skincare or invest in new products, I love skincare and new products make me excited! I can't wait to do more skincare related posts and try more skincare out!